Six weeks on a ranch caring for quadruplets-aspiring nurse Ainsley Draper's prepared for a busy Christmas. When the children's handsome uncle opens the door, her task gets extra complicated. Marshall Graham is upholding his promise to look after his twin sister, the babies' mom. But as family loyalty clashes with new love, will the perfect present include a future with Ainsley? 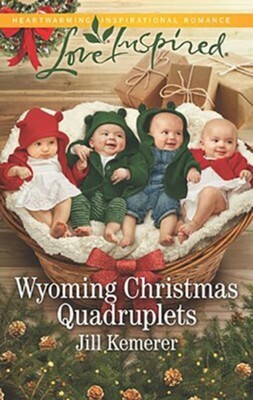 I'm the author/artist and I want to review Wyoming Christmas Quadruplets.